Any place that has a facade like this is worth visiting. 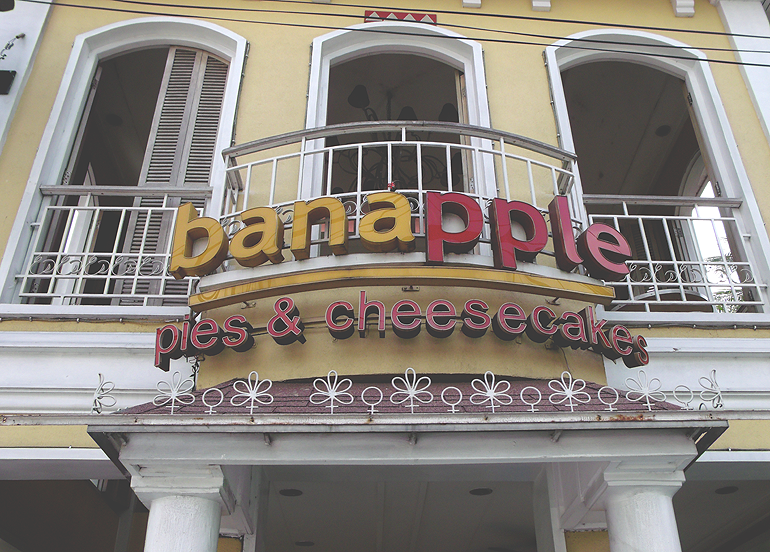 I gave in to the Banapple madness when they opened their branch in Makati (Ayala Triangle). I liked the place, food was okay, and I didn't really understood what all the raving was about. I thought, maybe, the magic was in the desserts which I wasn't able to try before. A month ago, I had the chance to eat again at Banapple (I know, this is such a late post) with my friends from work but this time, in Katipunan. 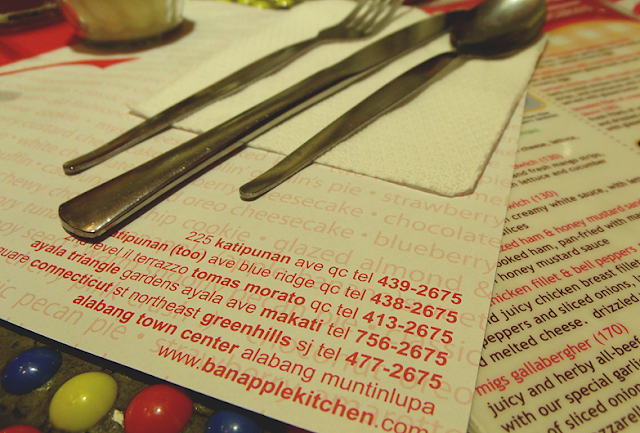 Apparently, they all love Banapple that we decided to eat there after we got our first pay. 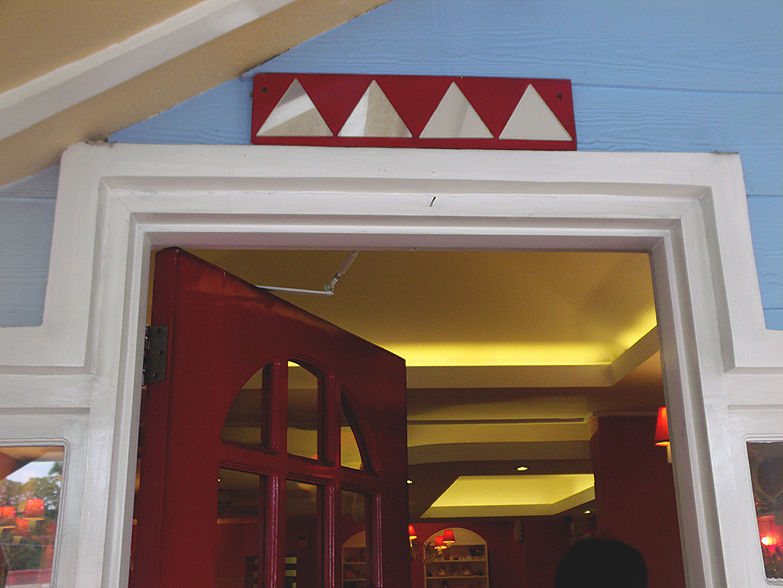 I was awestruck by the restaurant's appearance! I felt like I was Alice and this is what I discovered after I fell in the rabbithole! I am in love with Banapple's interior. It was indeed a visual treat! I can't help but roam around and look at all the things in there! From the wrought iron furniture, cozy and quaint interiors, baskets of breads, trinkets here and there, warm wall colors and display of colorful and mouth-watering cakes! I was squirming in delight! Just look at my reaction when the food I ordered was served. I was surprised because the serving was humongous! The Chicken Breast Parmigiano (PhP 180) was so delicious and filling. It is a parmesan crumb-breaded chicken breast topped with flavorful and tangy tomato sauce, and topped again with mozzarella cheese, served with rice and sweet, tender carrots as a side dish. Some people may find the tomato sauce a little overpowering, but for me, it was perfect. The chicken was crispy on the outside and perfectly tender and moist on the inside! I love this dish to bits! I think I was overwhelmed by the serving though because I wasn't able to finish it and I just brought it home. While the White Chocolate Truffle Berry Cheesecake (PhP 110) is stunning in appearance and an absolute eye candy, I certainly did not go gaga for it. I did not like the white chocolate shavings on top which I thought will save this cake but no. It tasted a little peculiar for me, and this is coming from someone who loves sweets. Banapple is really a wonderland for gastronomic wanderlusts. Now, I've changed my mind. 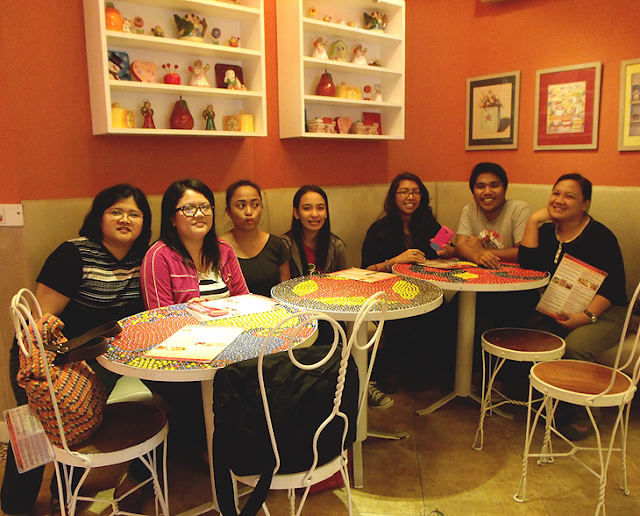 Their food is great, ambiance is perfect, my stomach was satisfied (haha), and I will certainly give them a visit again soon as I am still in the quest of finding their perfect cheesecake or pie!